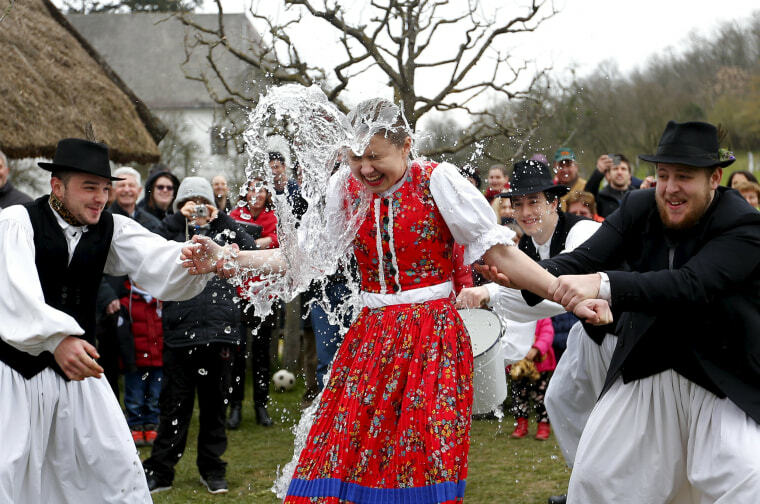 Men throw water on a woman as part of traditional Easter celebrations in Szenna, Hungary, on March 28, 2016. 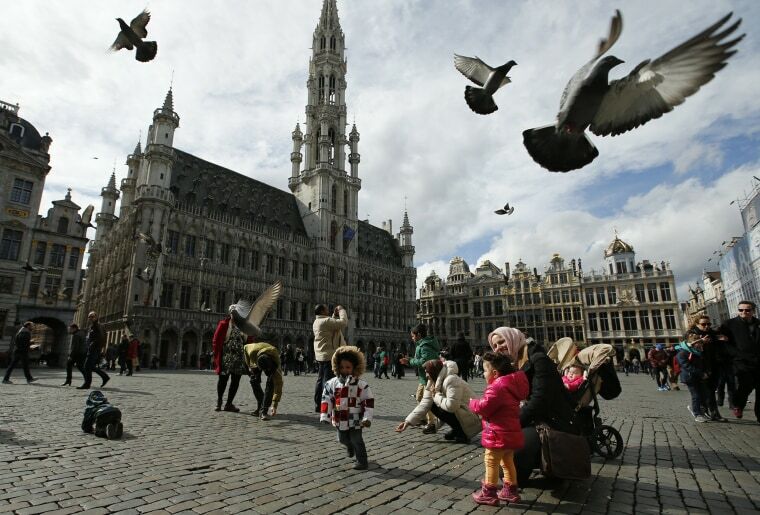 Pigeons take flight as tourists feed them in the Grand Place in Brussels, on March, 28, 2016. 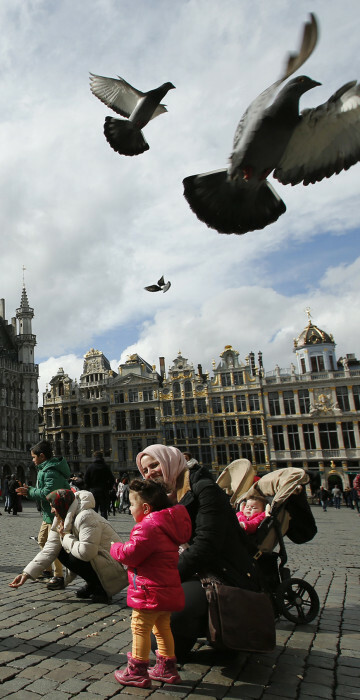 The Belgian health minister says four of those wounded in the suicide bombings last week have died in the hospital, bringing the number of victims of the bombings to 35. 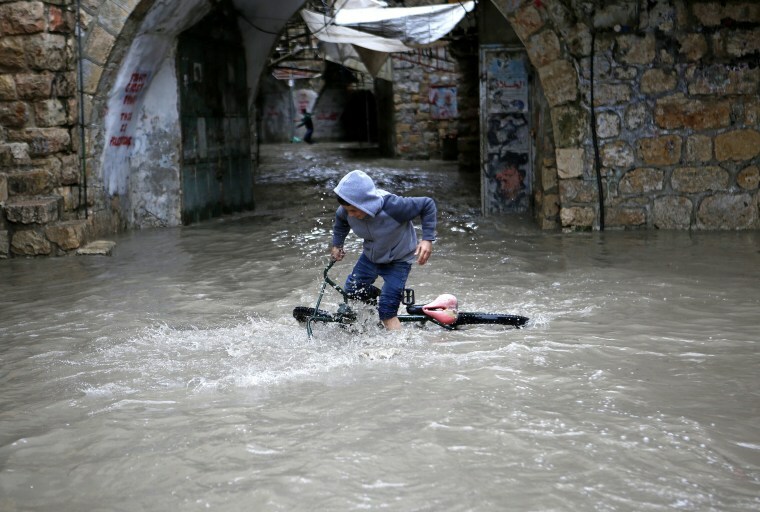 A Palestinian boy tries to ride his bicycle through flood water following heavy rain in the in the old city of West Bank town Hebron, on March 28, 2016. 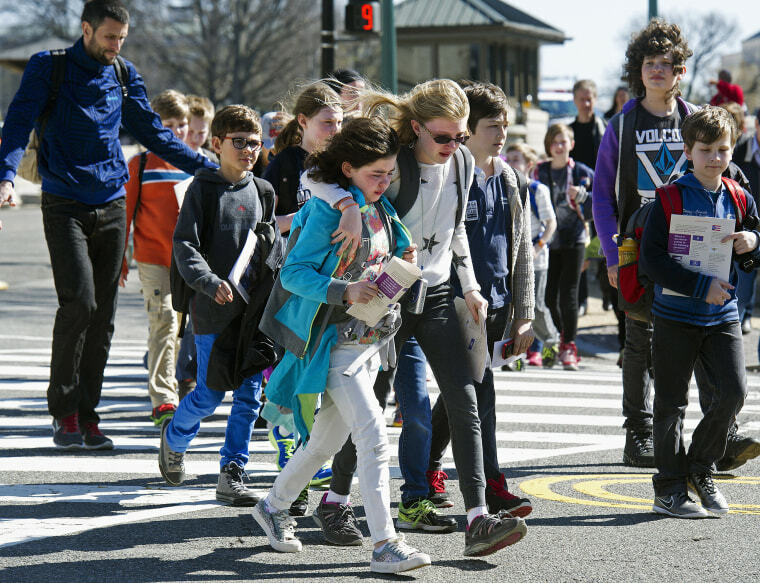 Children are escorted away from the Capitol in Washington, on March 28, 2016, after reports of gunfire at the Capitol Visitor Center complex. 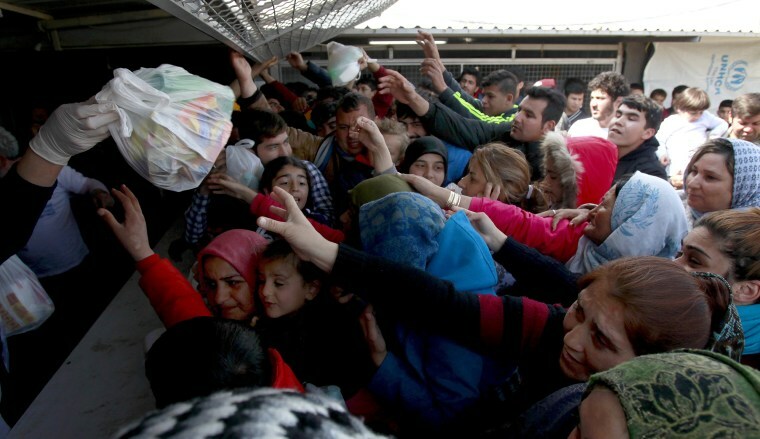 Refugees and migrants reach for food packages provided by humanitarian workers, at the transit center for refugees near northern Macedonian village of Tabanovce on the border with Serbia, on March 28, 2016. More than 1,000 refugees and migrants remain stranded in northern Macedonia since earlier this month, after a string of countries shut down the Balkan route which migrants used to go from Greece to central and northern Europe. 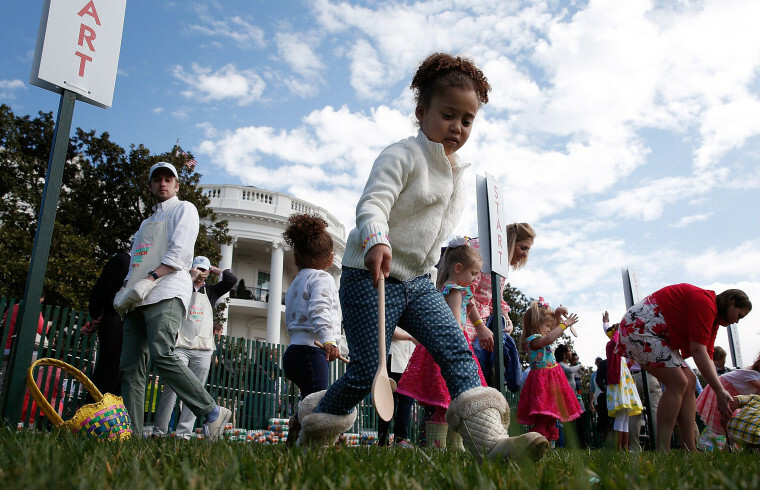 Young children roll Easter eggs on the South Lawn of the White House during the annual White House Easter Egg Roll on March 28, 2016 in Washington, DC. Thousands of people attended the 138-year-old tradition of rolling colored eggs down the White House lawn that was started by President Rutherford B. Hayes in 1878. 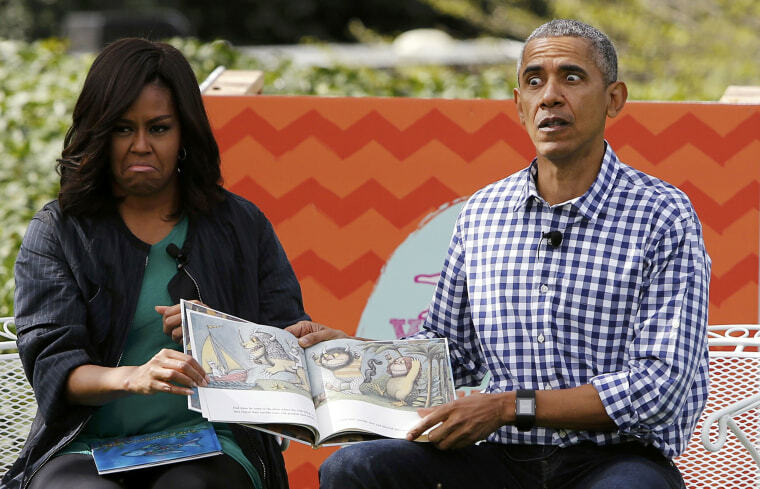 First lady Michelle Obama and President Barack Obama perform a reading of the children's book "Where the Wild Things Are" for children gathered for the annual White House Easter Egg Roll on the South Lawn of the White House in Washington on March 28, 2016. 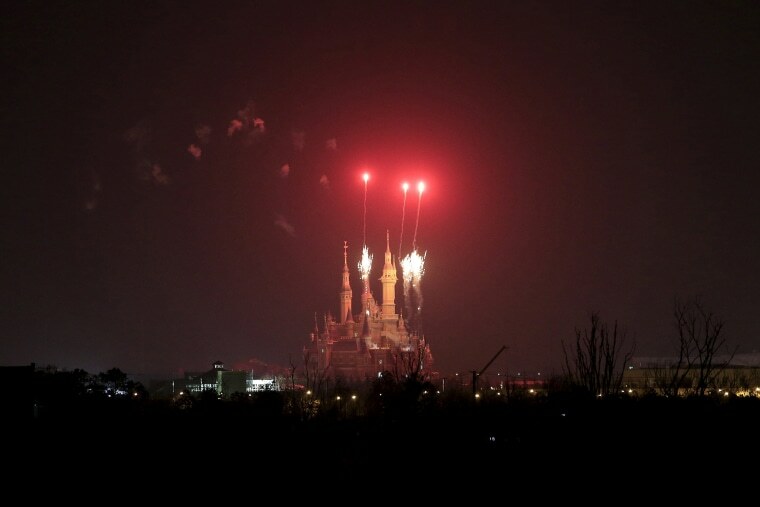 Fireworks explode over Shanghai Disney Resort in Shanghai, China on March 28, 2016. Shanghai Disney Resort, which began selling tickets on March 28 for the theme park, will officially open on June 16. 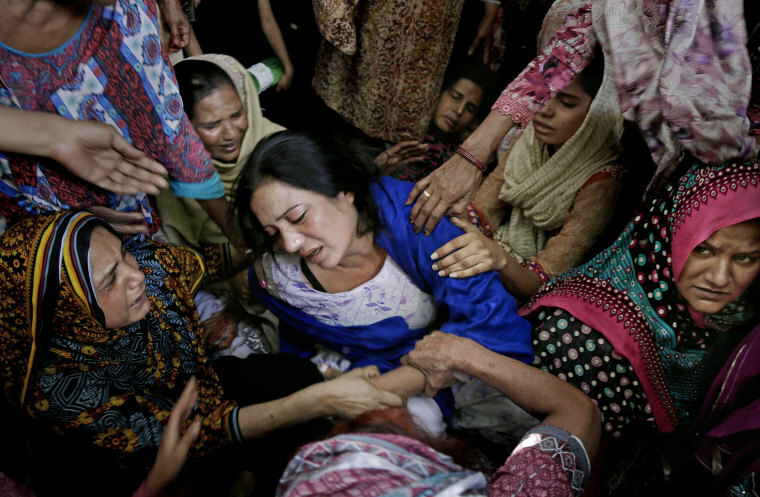 Women try to comfort a mother who lost her son in bomb attack in Lahore, Pakistan, on March 28, 2016. The death toll from a massive suicide bombing targeting Christians gathered on Easter in the eastern Pakistani city of Lahore rose on Monday as the country started observing a three-day mourning period following the attack. 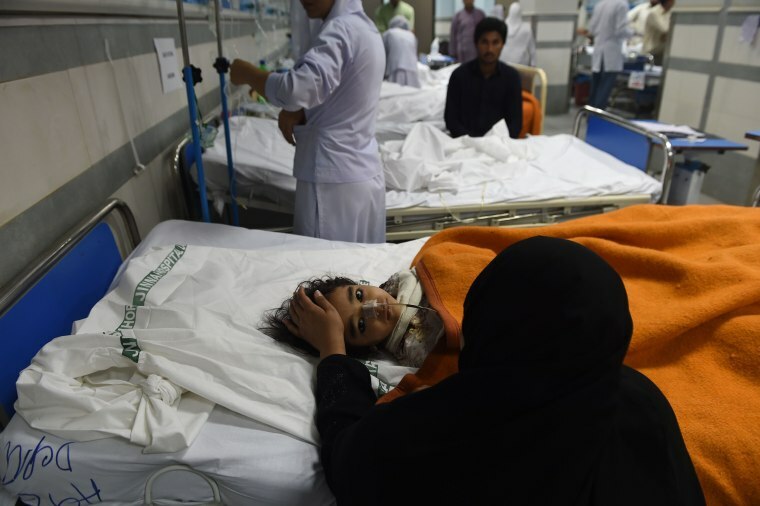 An injured Pakistani child victim of a suicide blast rests in a hospital in Lahore on March 28, 2016. A suicide bomber who attacked a park thronging with families celebrating Easter killed at least 72 people in Pakistan, with children among the dead.